Is Acer Launching A Kaby Lake Chromebox? We have fielded countless questions about if or when a new Chromebox could be on the horizon. We, ourselves, have begun to question why it has been over two years since the release of a desktop-class device from any manufacturer. Honestly, I don’t have a good answer to that question. Apart from the low powered AOpen Chromebox Mini(which is intended primarily to be a kiosk device, not a workstation), the platform as a whole seems all but abandoned and, as Robby stated, it is unclear why. The good news is that developers have been working on a new Chromebox device and it will be powered by Intel’s Kaby Lake chipset. That means we could see a Chrome device in a desktop form that sports some serious horsepower. The “when” is a bit of a crapshoot but from the increasing number of commits surrounding the new Chromebox ‘Fizz’ my guess would be soon, very soon. The first quarter of 2018 wouldn’t be at all unfeasible. Perhaps we will luck out and it ‘Fizz’ will make an appearance at CES 2018. The “who?” Well, that question may have just been answered when we discovered another device whose development is just getting underway. The new convertible ‘Bruce’ shows some very convincing signs of being made by Acer. One particular Quanta employee attached to the Chromebook looks to exclusively be working on devices made by the Chrome OS giant. 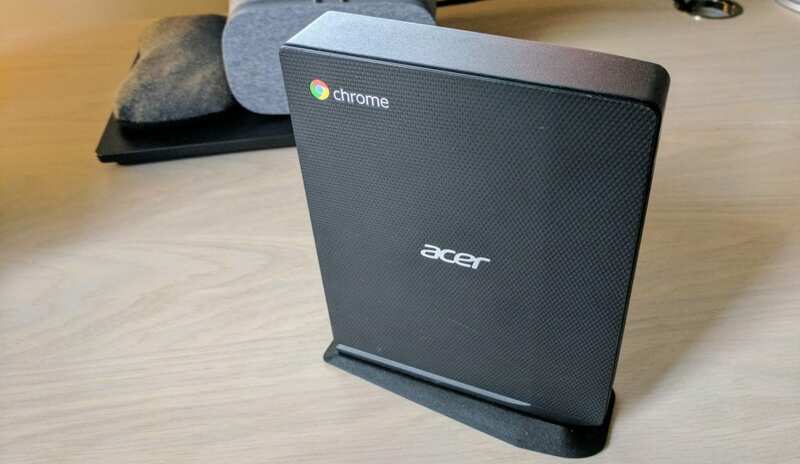 Along with a number of recent Acer devices, this developer is also working on many of the finishing touches being made on the Chromebox ‘Fizz’. This may not be definitive proof but if it walks like a duck. Acer produced one of the arguably best Chromeboxes available with the CXI2 and it stands to reason that they would be the first to launch a next-generation box in the near future. With Google’s push for enterprise, a powerful workstation running Chrome OS could be a game changer for corporations and developers and Acer would do well to be the first out of the gate. I suspect we will see this new Chromebox in the very near future and we’re very excited to get out hands on it when it arrives. Stay tuned for more details as they emerge.